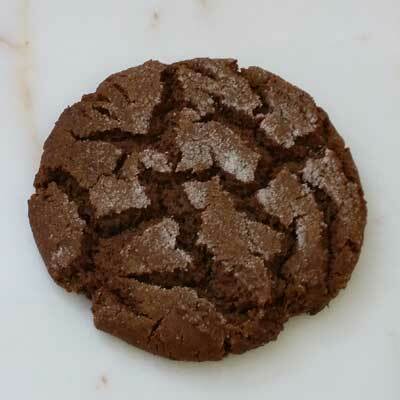 Robust molasses flavor with vanilla and spices in the classic cookie. Does you "Wheat flour" contain Barley or Vit C/Ascorbic Acid? These two items are commonly included, Barley often . . . Response From Caffe Ladro: Thank you for your question. Our Unbleached wheat flour does contain malted barley flour. 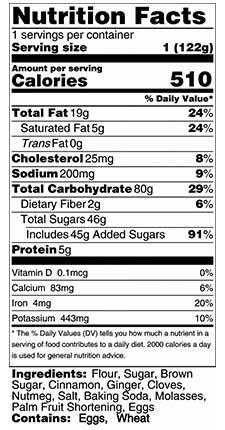 Our flour also has 5 usual vitamins and minerals added (iron, niacin, thiamine, riboflavin and folic acid). It does not contain ascorbic acid. Unfortunately, based on the list of food sensitivities you have, I am unable to recommend any of our baked goods. Even when one of our items doesn’t contain wheat flour, for example, they have nuts instead. I am truly sorry that we cannot provide you with something delicious to eat. Thanks again for your question and have a great day.